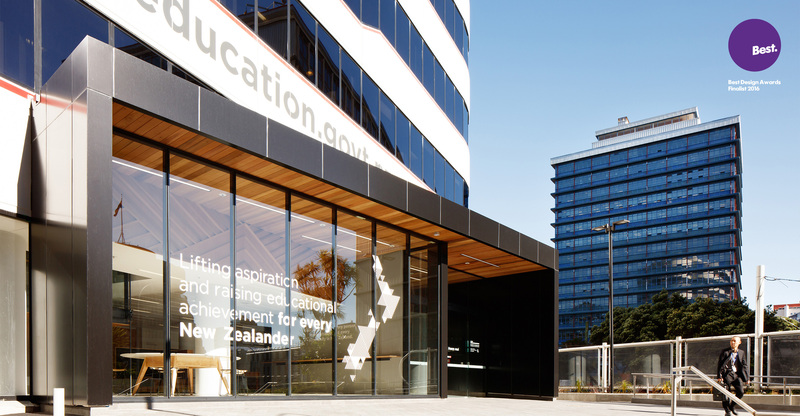 The redevelopment of the new National Office for the Ministry of Education brings over 1000 staff together in a modern open plan environment. 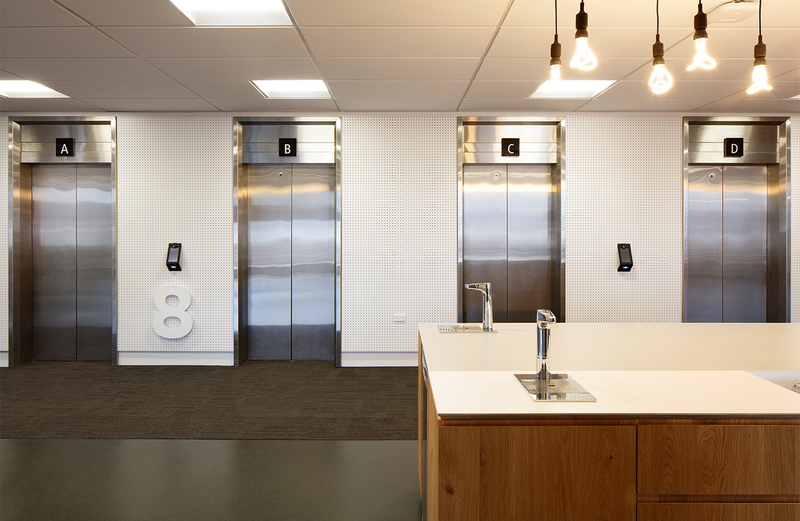 The Ministry’s vision for the building was to create a place that welcomes the community in and acts as a hub for collaboration, encouraging staff to work flexibly in an open plan modern workspace. 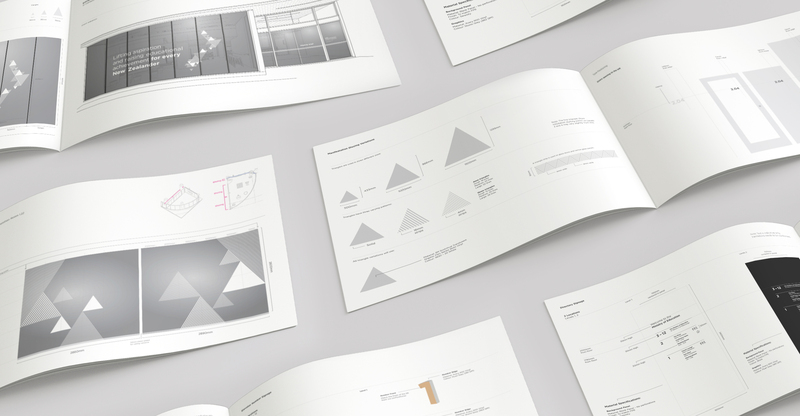 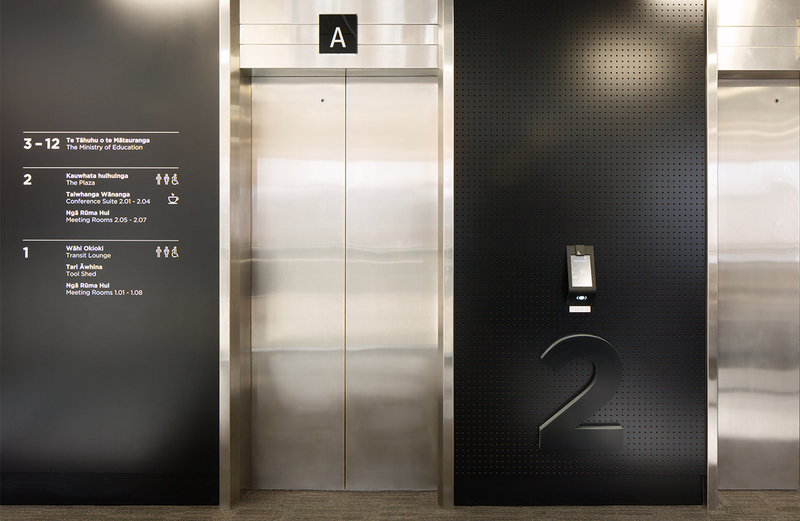 We designed a comprehensive signage system that weaves the visual identity of the organisation throughout the building. 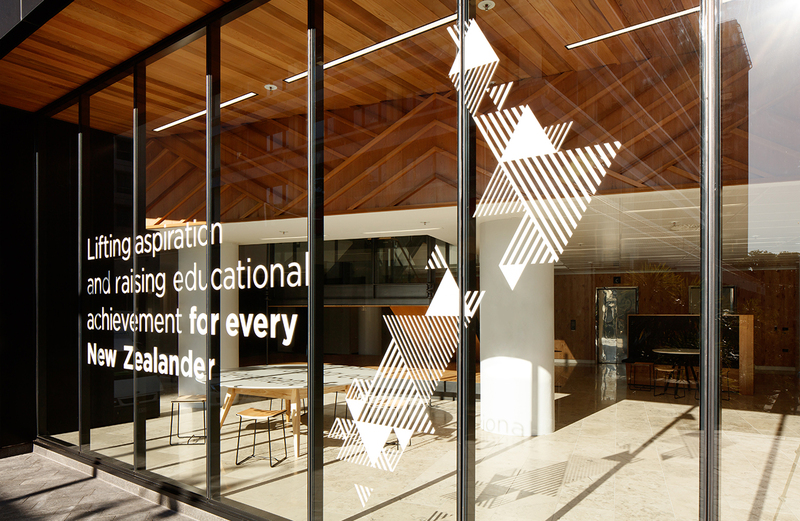 The Ministry of Education logo consists of three triangles, symbolic of the three peaks of learning. 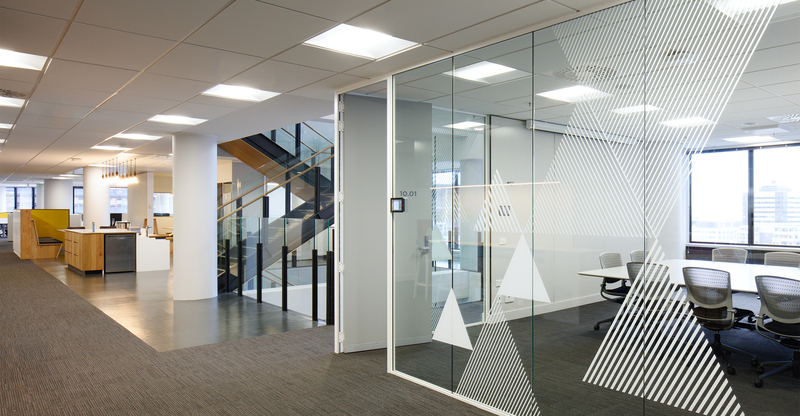 We used the triangles to create a rich tapestry of patterns and applied these throughout the twelve levels of the building including over 70 meeting rooms. 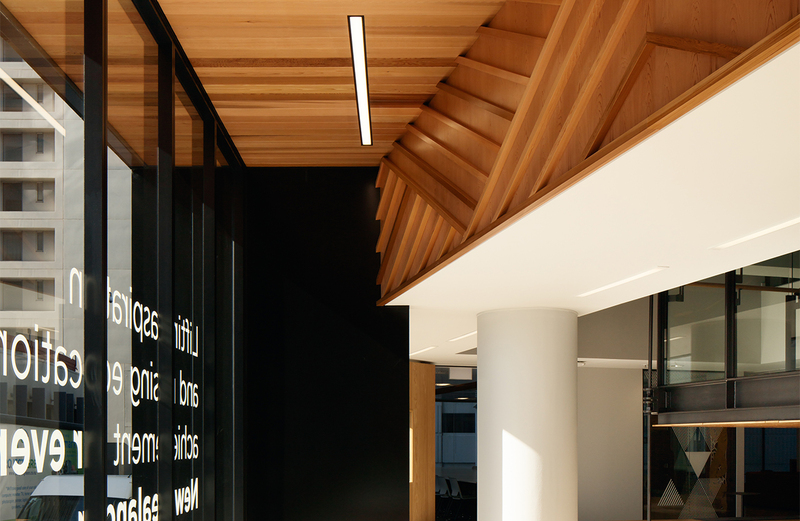 The patterns were also integrated into the building’s architecture in the entrance lobby as a way to warmly welcome people into the building. 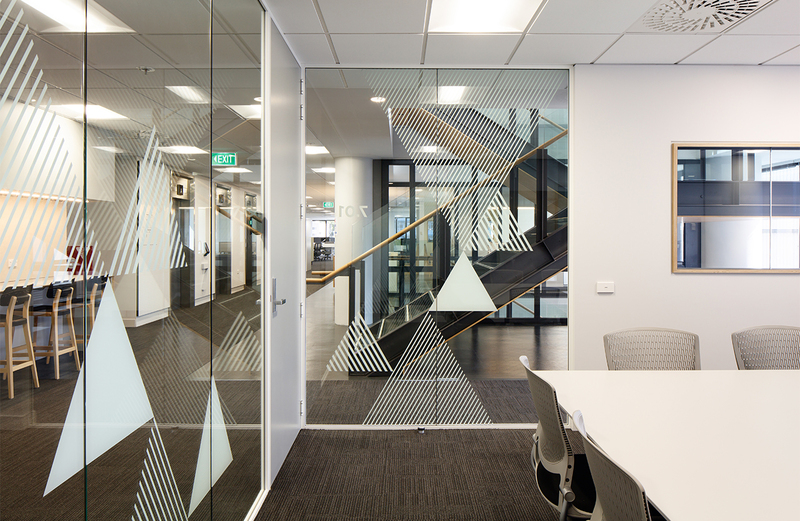 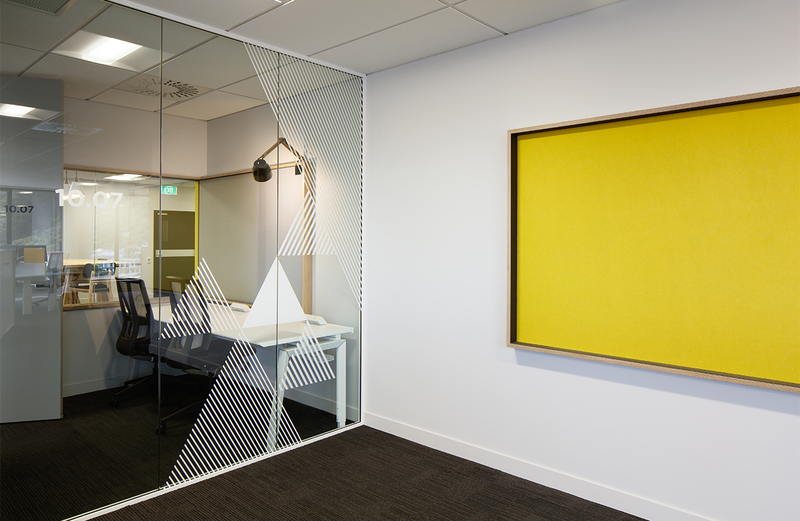 We designed a modular system allowing each office space to have a unique triangle pattern, enabling different levels of coverage and visibility suitable for the variety of work settings. 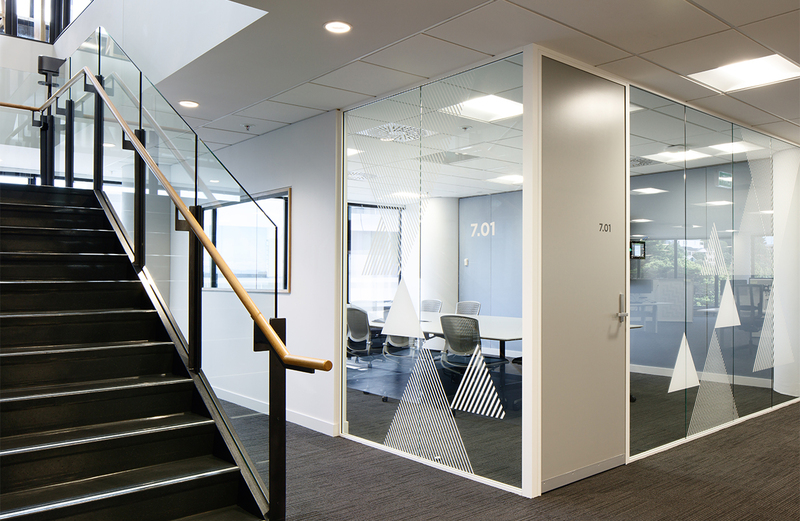 The system was designed to be adaptable to ensure each meeting room could be treated individually and altered depending on critical lines of site, privacy needs as well as proximity to other meeting rooms. 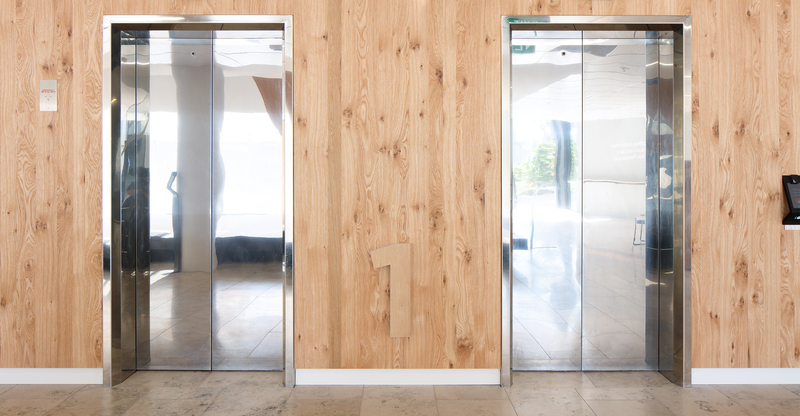 The large level numbers are integrated into the interiors veneer with contrasting edging to subtly remind people where they are in the building. 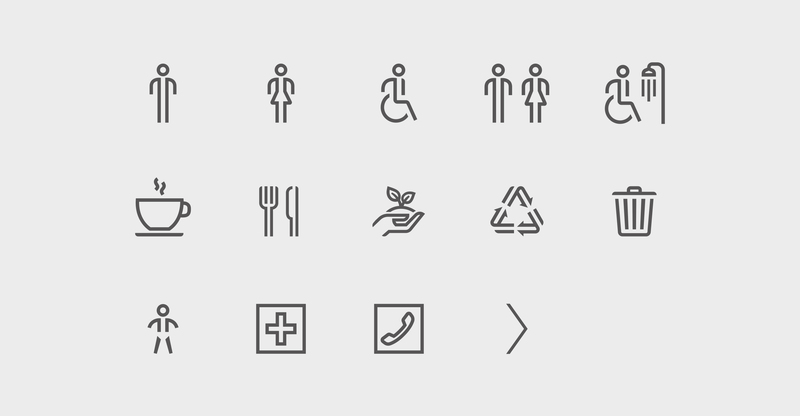 A set of custom icons were developed to identify functional spaces, kitchen areas and utilities. 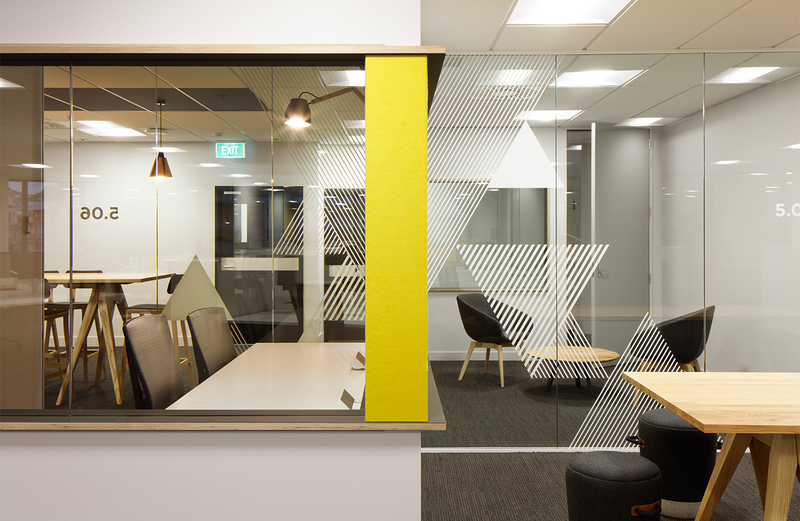 These were designed to be consistent with the Ministry visual identity and patterns used throughout the building. 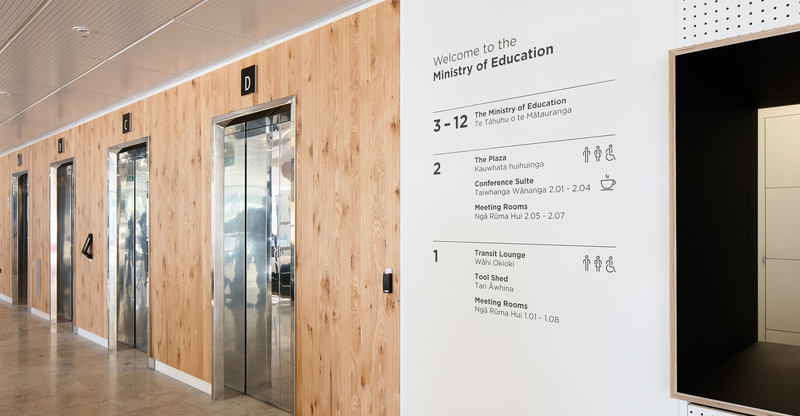 The new Ministry of Education signage is designed to have longevity, connect with the existing Ministry visual identity and seamlessly integrate into the new modern environment.